This is a guide to the Tennessee Central. The book includes information about current as well as former station locations, historic town and major stream crossings along the line. 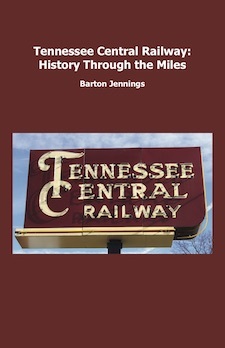 The book also includes information not only about when the line was operated as the Tennessee Central, but segments that are currently operated by the Nashville & Eastern, Lhoist North America, Norfolk Southern, Nashville & Western and the Fort Campbell Railroad.